24 Days of Christmas is COMING!! Starting on November 29th (Black Friday) and running until December 22nd, author Virginia McKevitt, with Theresa Johnson and Lisa Angel Miller will be hosting The 24 Days of Christmas Virtual Book Store. This is a huge event, with over FIFTY authors, all giving you a really great Christmas gift. Every author attending will have a special day to be available to chat and share a little about themselves with readers and fans alike. They will be giving one of their books for only 99 cents that day also. Where else can you spend fifty bucks and have enough gifts to share with the whole family? That is only a small part of what’s happening during the 24 Days of Christmas. We are having not one but three tremendous rafflecopters during this spectacular event with NINE winners! The prizes are amazing! But that’s not all, lol. We are hosting a cover contest for all of these wonderful and talented authors, and you the reader will pick your favorite covers and the authors will win a fabulous prize. A twist, wouldn’t you say. So come on, be a part of something big. Big prizes, great books, wonderful authors. What more could Santa bring this year? CLICK THE VIDEO BELOW TO CHECK OUT THE GREAT BOOKS AND AUTHORS FEATURED! New love, new magical powers and new threats emerge as Ruby discovers more about who she is to become and why the powers at be want her out of the picture. When the flames of the Fire Court threaten to burn those she loves, Ruby must leap into a fiery battle which could change the lives of all those in Fey and alter the fate of the Royal Courts forever. 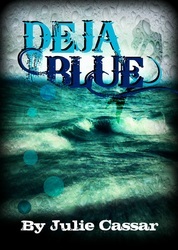 Secrets revealed and lives hang in the balance in this explosive finale to the Ruby Blue Series. COMING SOON!! Gifts Aren't Only From Santa! Please join several great Indie Authors for a fabulous 2-day event! Friday, December 14th and Saturday, December 15th is your chance to pick up some great e-books and win some fabulous prizes! In addition, please join us for a 3-hour Facebook Event on December 14th from where we’ll have games, prizes and much more! Just Click this link to join and participate! December 14-15 is when we make it possible for you to download our books either free of charge or at a very low price with 100% sales proceeds going to the Children's Hospital. What better way to celebrate the time of giving? Books make great presents! You can easily have them delivered to your friends, family, and coworkers. And because we offer them on Amazon, you can buy them now and choose the delivery day, so they are scheduled to be received later. How to do that? When you buy ebooks on Amazon, click on “Give as a Gift,” Then choose your delivery date. So why not stock up for the upcoming holidays? These prices are only good for December 14th and 15th, so don’t delay! Don't forget to Join us for three-hour Facebook event on December 14th. There will be games and giveaways of awesome prizes donated by our Young Adult fiction authors. Invite your friends too. We want to show our appreciation for the Young Adult genre readers and the support they have been giving us throughout the year. There will be something for everyone: our ebooks, autographed paperbacks, bookmarks, jewelry, Amazon gift cards, picture books, even a popular DVD! HERE IS A LIST OF ALL THE GREAT BOOKS YOU CAN GRAB THAT WEEKEND! Neverlove, by Angela Brown – FREE! Wicked Sense (Singularity Series #1), by Fabio Bueno – FREE! Givin' Up The Ghost, by Gwen Gardner – FREE! 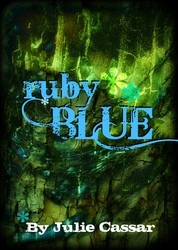 Ruby Blue (Ruby Blue Series #1), by Julie Cassar – FREE! INZARED, Queen of the Elephant Riders , by L. Leander – FREE! Forged by Greed, by Angela Orlowski-Peart - FREE!